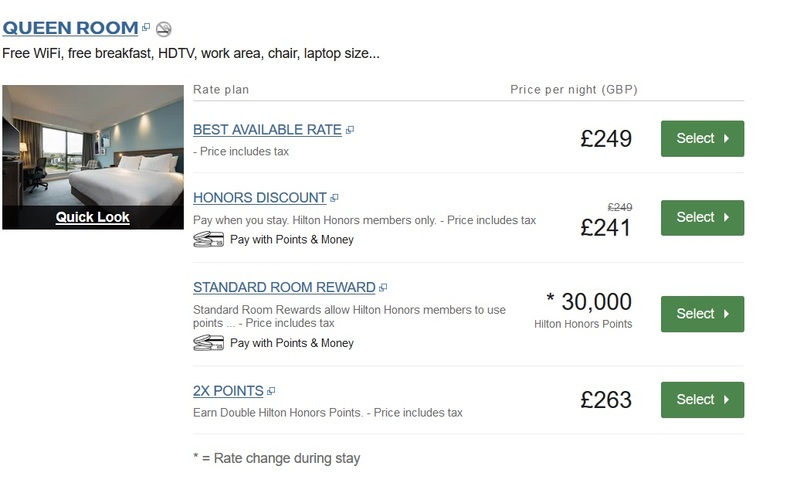 Hilton Honors is once again offering a 100% bonus when you buy points. The promotion will run from 9 April until 28 May, 2019. Since points usually cost 1 US cents each, this promotion reduces that cost to 0.5 US cents. In sterling terms, that works out to roughly 0.38p each. You do need to make a minimum purchase – my account requires a 5,000 point minimum purchase (pre-bonus) but your account may see a slightly different minimum amount. There is no specific landing page for this promotion. You simply should log in to your Hilton Honors account and look for the subheading entitled “Buy, Gift, Pool & Transfer”. However, don’t forget to re-read this post about how you can earn cashback when buying points from hotel chains such as Hilton.